You are at:Home»Features»Vehicle Dynamics International Awards 2016: the winners! 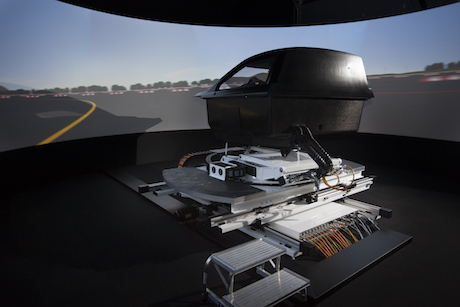 Vehicle Dynamics International Awards 2016: the winners! Since the introduction of the first model in 2002, Ford’s Focus RS has completely rewritten the hot hatch rulebook. So impressive is the 2016 model that it is straddling the line between hot hatch and all-out performance sports car. The car’s 345bhp is impressive, but the dynamics package is as impressive – probably more so, in fact. The new four-wheel-drive setup on the 2016 RS uses GKN’s dual-clutch Twinster torque vectoring all-wheel-drive (AWD) system to allow for overspeeding of either or both rear wheels for greater feel and responsiveness and improved handling. To enable this setup, the torque vectoring rear-drive module, as well as the power transfer unit and CVJ sideshafts, had to be integrated into the base front-wheel-drive Focus platform – rather a tight squeeze! New control algorithms were also developed for the torque vectoring system to give the driveline four driving modes: Normal, Sport, Track and Drift. In this latter mode, the AWD system delivers even more of the 324 lb/ft of available torque to the rear axle for the RS to achieve a controlled ‘drift’ through corners. Of course, being a four door, five-seat family hatchback, the Focus RS keeps a little of its ESC safety net online, to ensure that Drift Mode is fun as well as safe. 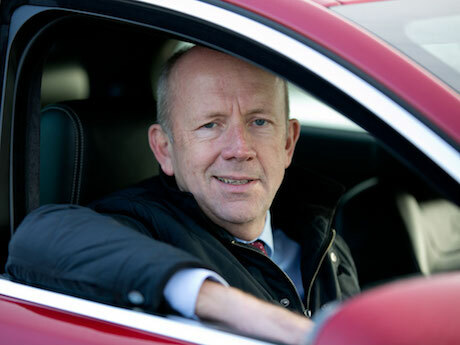 Mike Cross has a deep engineering knowledge and a talent for vehicle driving and evaluation that have made him something of a legend in the dynamics world. His recent work on the Jaguar side includes the F-Pace, the XE, and the revised XJ and all-new XF. With his Land Rover hat on, the Range Rover Evoque convertible is attracting great interest. Whichever model one drives in the Jaguar Land Rover range, the dynamic performance has been optimized by Cross. 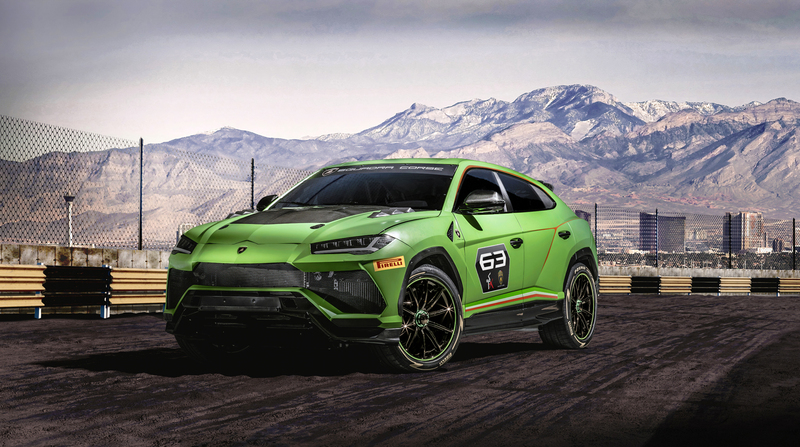 Of particular note in the most recent models is the introduction of integral-link rear suspensions, adaptive dynamics, All Surface Progress Control for rear-drive stability, finely tuned EPAS systems, torque vectoring technology, and torque on-demand all-wheel-drive systems. Combined with lightweight aluminum architectures for stiffness, strength and near 50:50 weight distribution, Cross is helping to create superb product. A worthy winner, who has long held immense respect in the industry. 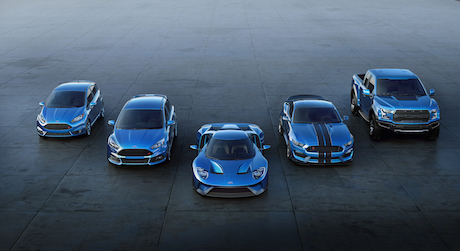 The global rebranding and expansion of Ford Performance has seen Ford introduce a number of performance-orientated models. The introduction of the third-generation Focus RS followed the reveal of the new Ford GT supercar, forming part of a ‘new era’ of Ford performance that will comprise 12 new vehicles by 2020. 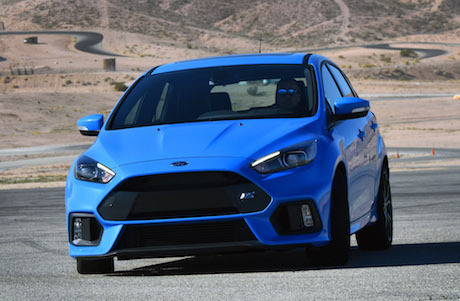 The two new cars introduced several technologies for the brand, including the use of a heavily revised GKN Twinster differential in the Focus RS, while the knowledge garnered during development of the carbon-fiber-bodied GT supercar will form the template for all future Ford models. Combined with the Car of the Year accolade, this has been a good year for Ford Performance in the Vehicle Dynamics International Awards. Schaeffler’s electromechanical active roll-control system replaces standard hydraulic stabilizers and works in conjunction with a camera, which constantly scans the road surface in front of the vehicle. If any bumps or irregularities are detected in the road surface ahead, the system briefly raises the corresponding wheel to avoid the bump, increasing comfort, safety and dynamics. To launch volume production for the new system, Schaeffler has built completely new production facilities at Schweinfurt, Germany. The individual systems have a modular design, making it possible to integrate them into many volume production launches in the years to come. The system is on the road today, with two as yet unnamed vehicles, the first being a “luxury class sedan”, and the second a “powerful and dynamic luxury SUV”. Ansible Motion’s new Delta Series Simulator is a 6DOF motion system, powered by 16 5GHz computers. The dynamic system can run five projectors at a frame rate that’s five times faster than cinema standard, projecting a 240° wraparound view on an 8m screen. The engineering-class simulation system has already been supplied to a Formula 1 team, which is using it for defining suspension settings. 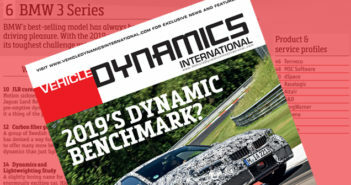 Nominations are received from VDI’s expert readership of chassis and dynamics professionals, and from the editorial team. From that list of entries, between four and six finalists are shortlisted for each category, and this shortlist is evaluated by our international, independent judging panel of automotive journalists, to decide the winners.